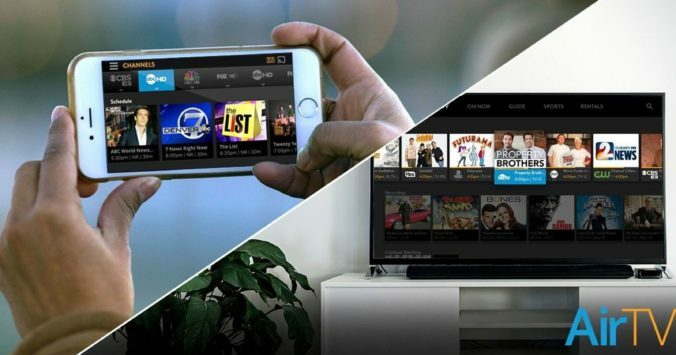 It’s been a big week for local broadcast networks and OTT. Sinclair launched STIRR, their new app that combines their local broadcast channels with some really forgettable VOD content. The New York Times ran a big story on Locast, aka Aereo 2.0. And Syncbak’s SBTVapp, which does more or less the same thing as STIRR, only less conservatively, is out there too. But by sometime in the middle of 2020, there will be seven extremely large SVOD services (maybe even eight, if CBS/Viacom happens) pumping out something like $15 billion worth of original programming a year. Or $12 billion, Or $20 billion. Regardless, it’s still going to be way more than any of us could ever hope to watch. When that happens, people are really going to start wondering why they’re paying for cable because with all the Flix content out there—most of which will either be ad-free or ad-lite—who is going to want to sit through all those shows with all those commercials instead? Actually a lot of people. Because they’re lazy or because they’ve never gotten around to signing up for Netflix or any other Flix. (We easily forget that Netflix doesn’t have anywhere near the penetration of MVPD pay TV.) Or because they can’t afford it. And that’s where STIRR, STBV, Locast (I keep wanting to call it “Lojack”) and similar services come in. Because if I can get my local broadcast stations, with their news, weather and sports for free, then the idea of giving up pay TV starts to make a lot more sense, especially given that I’d still be able to watch ABC, CBS, NBC, Fox and the CW to my heart’s content. So that trickle of full-on cord cutters might start to turn into an even bigger trickle. We’re thinking it might go from the current 1% a year to as high as 7%. Remember that changes like this don’t happen quickly, and that all those people over 60 who watch 5 hours of network TV every night aren’t dying off any time soon. As in come 2029, they’ll all be over 70 and watching 5 hours or more of network TV every night. But for the rest of us, the Flixcopalypse might prove the be the beginning of the end. If you’re a vMVPD, consider putting out a super-skinny bundle with just the local broadcast networks in it. If you can keep that at around $15/month, a lot of people are going to find that easier to deal with than trying to locate, sign up for and use a different app for every single local station. If you’re Roku, Apple or Amazon, creating a new bundle with a bunch of Flixes, a bunch of local stations, some newspapers and magazines, Spotify, the kitchen sink and whatever else you might throw in is probably something you’re already thinking about. Call it “The Great Rebundling” (we do) but it’s going to happen soon. A couple of thoughts on exercising!